Let me start this post by saying I take no responsibility for anyone ending up with a flower colouring addiction. 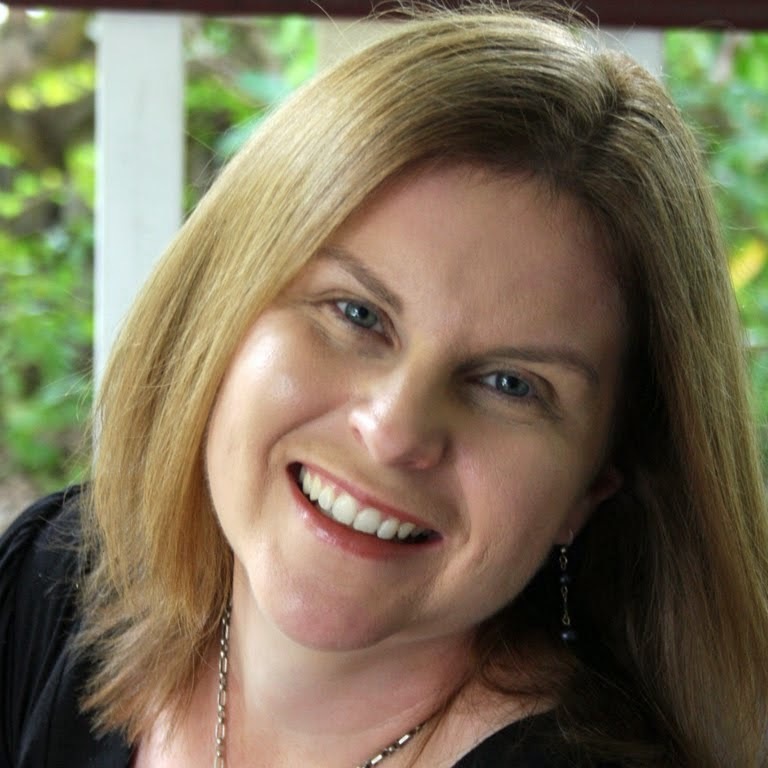 I'm warning you all these are fun, easy and give fabulous results! So grab any paper flower and try one of these techniques today. Please note each technique builds on the one preceding it, so there is some repetition of instructions. This technique creates a fabulous flower that looks quite realistic, I love using roses for this as you can really see the colour blends on the underside of the petals. 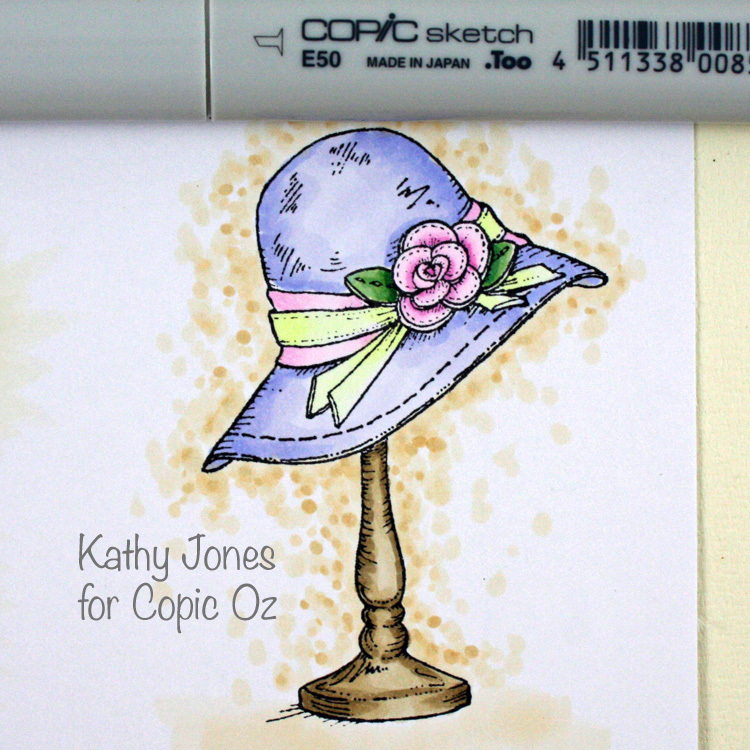 Begin with a white or pale coloured paper flower and choose 2 colours of copic marker (I like to use colours that appear in my copic coloured image, from a natural blending family). For this flower I have used RV63 & RV66. Colour 1/2 of each petal with your lightest colour working from the outer edge in towards the flower centre - make sure not to colour the whole petal. Using the darker colour, apply a thin strip of colour to the outer edge of each petal - I just run the side of my marker along the edge of the petals. Your flower should look like this once finished applying colour from your Copic markers. You will notice I've made no attempt to blend colours or be particularly neat here - this technique is very forgiving. The next step is to apply a few drops of Colorless Blender to each petal - add the liquid to the outer edge of each petal - the fluid will wick towards the flower centre and drag a little colour along with it. Dry the flower with a heat gun / embossing gun - this will take up to 45 seconds depending on how wet the flower is. Drying with the heat gun will not only dry the liquid but it also results in discoloured edges to the petals (they darken considerably) giving a beautiful result. This flower uses 3 colours from different families and adds in a little bling to create a stunning fantasy flower. This technique really works well on flatter flowers like the gardenia I used here, and though I have used a mulberry paper flower you can use this same technique on fabric flowers also - it looks amazing on satin, though your colours will turn out much lighter! Begin with a white or light coloured paper flower (I like gardenias because they are easy to colour). 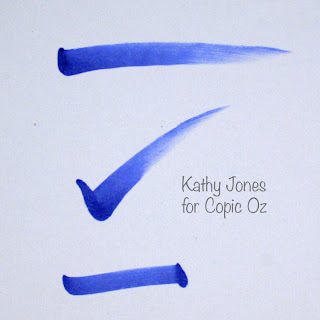 Choose 3 colours of copic marker (this works to best effect if you choose 3 colours each from a different colour family - though can use a natural blending family as well if you like). Colour the centre of the flower (avoiding the stamens) - I used V09, you can pick any of the colours to be your centre colour. Then colour the remaining layers of petals, with the same colour - only add this colour to the to the inner part of each petal. Your flower should look like this. Add your second colour next to the first, overlapping a little - making sure to leave white space on each petal for your third and final colour. Add this second colour to all petals, your flower should now look like this. Add the third and final colour to remaining white areas of flower, overlapping the third colour over the second colour - you are not trying to blend here. You should now have something like this and you are ready to add Colorless Blender fluid all over the flower - make sure you have thoroughly wet all petals so that the colours mix and blend. For this flower you do not need to drip blender onto edges, just wet the flower all over so that the colours blend together. 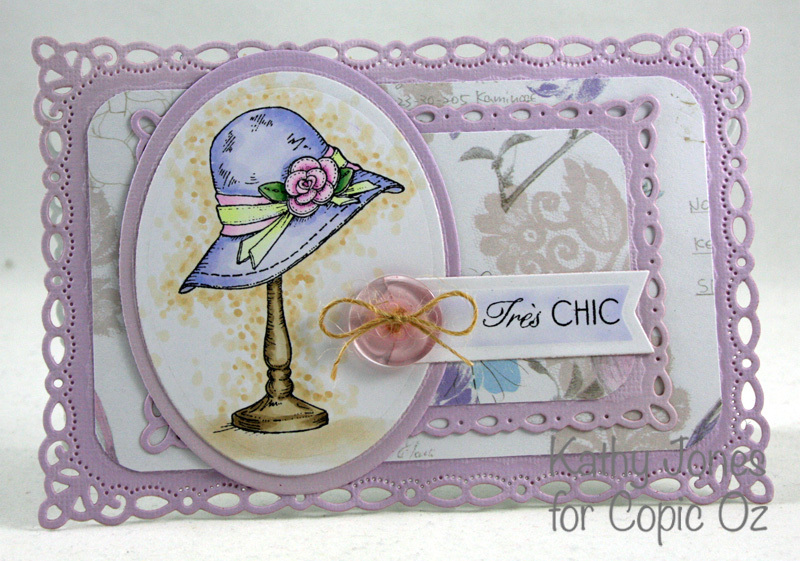 Dry flower with heat gun / embossing gun as this produces best results. Add a little stickles to the edges of each petal and leave to dry. These flowers build on the basic techniques from Flower #1 and Flower #2 and add a little (or a lot) of bling to ramp up the wow factor! 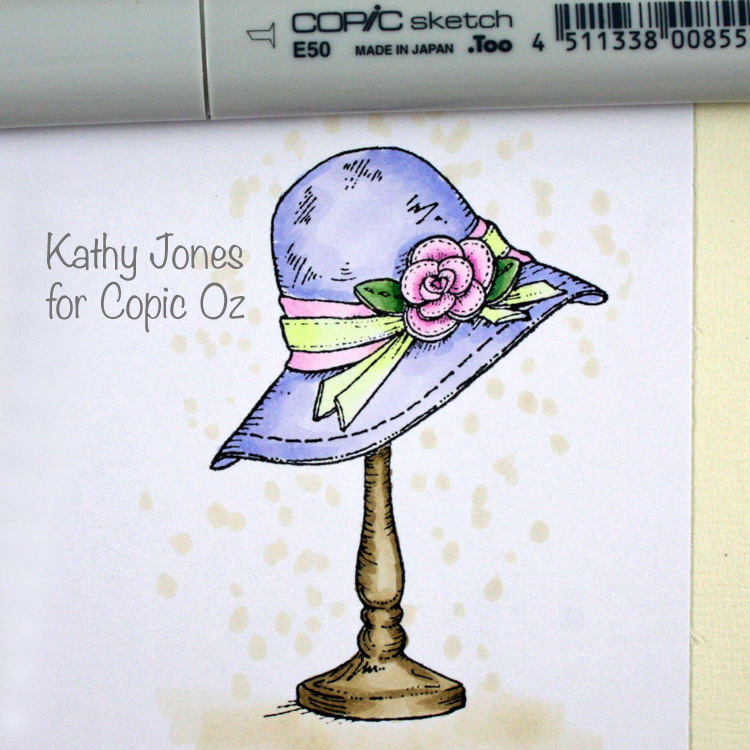 Depending on your flower choice (flat or dimensional) will decide how many colours you can use to create the copic colour of your flower. For smaller flowers fewer colours are best, on larger flowers you can use 3 or more colours. Begin with flower of your choice, flat (like a gardenia) or dimensional (like a rose). Choose colours of Copic Markers to add to your flower - for a realistic effect perhaps choose colours from a natural blending family or colours that may exist in nature, or go for a wild combination of fantasy colours - the choice is yours. Apply colour to flower in one of the methods described above. 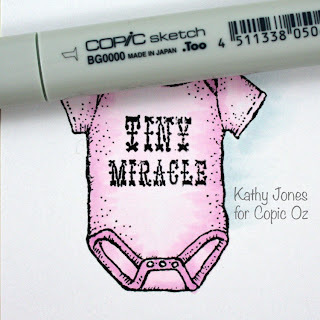 Add Colorless Blending solution to blend and soften colours, then dry with a heat gun. It's at this point you add the bling - building on our previously learned techniques. For each of the following flowers you need to have completed steps 1 to 4. 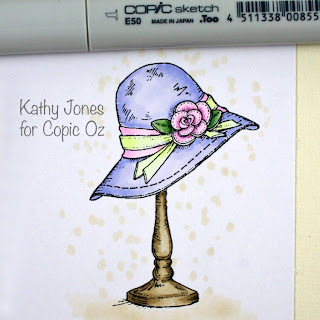 I hope this has inspired you to pull out some of those unused paper flowers in your stash and colour them up using your Copic markers. 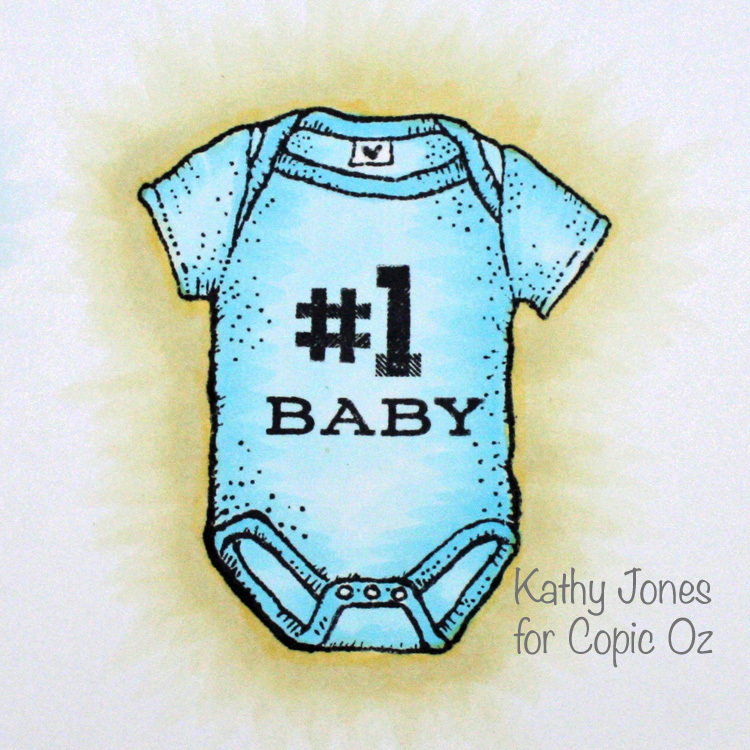 Why not show us what you have created on the Copic Oz Facebook page. Hello Everyone! 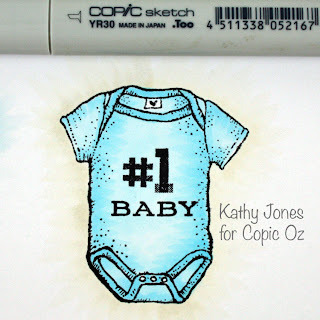 Today I'm going to be talking about creating a 'glow' around your coloured image! 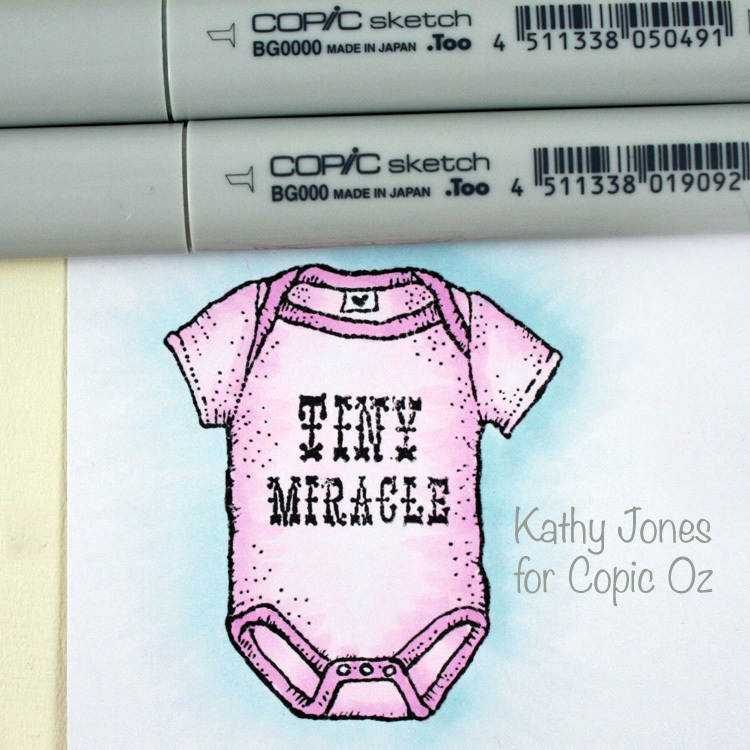 There are a couple of ways of doing this, by either 'flicking' colour out or dotting. 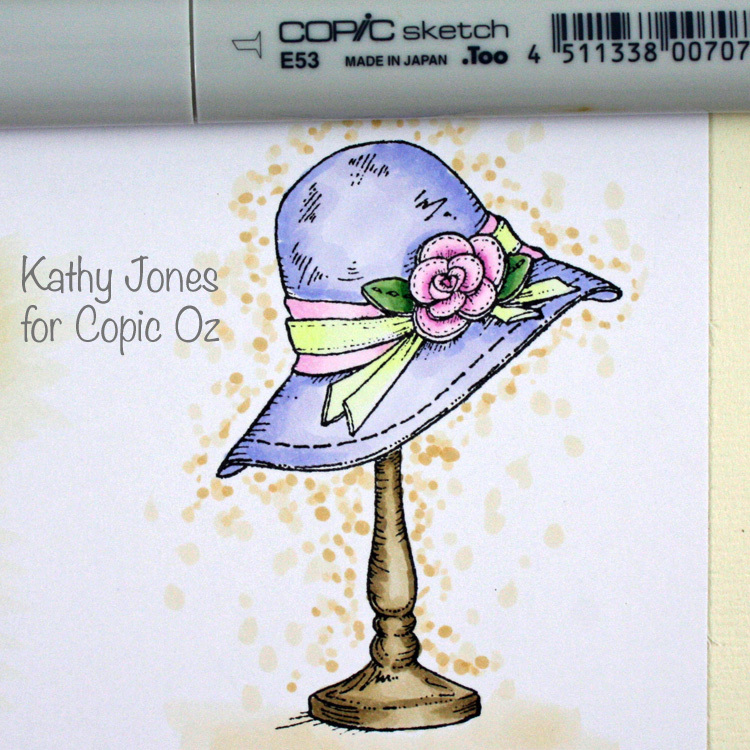 The best way to do this technique is to place your marker on the paper and flick it out, leaving a trailing edge (top example). The action is all in the wrist! Don't use the 'tick' action (middle example) - you don't need to go downwards first, only across. 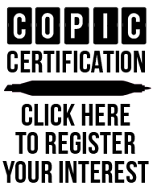 Don't leave a hard edge (bottom example) - you won't get a lovely soft edging around your image unless you have the flicked edge. 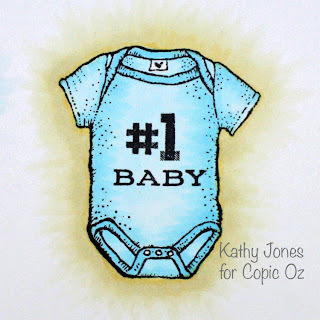 I've used Flourishes Hello Baby stamp set for the first image. 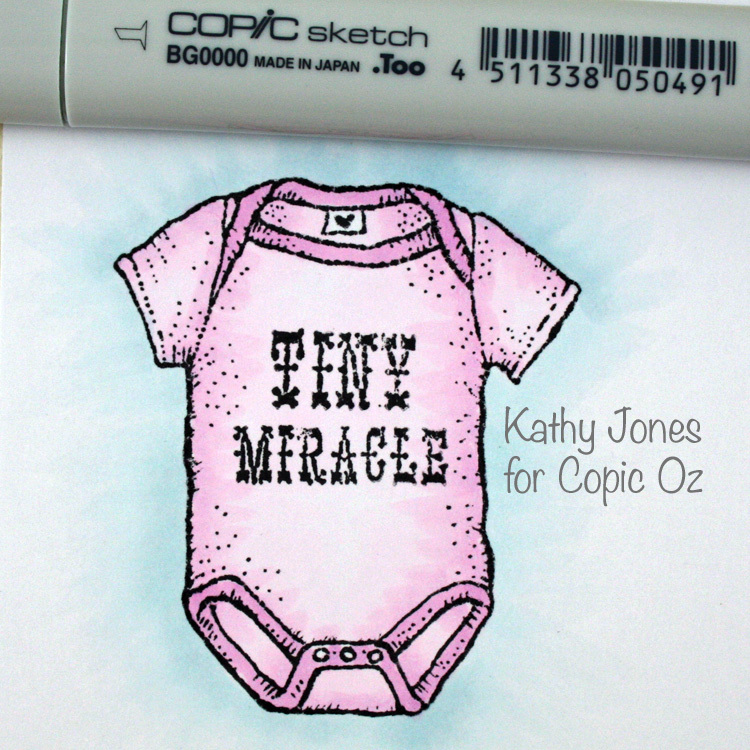 I've coloured the outfit pink and then used BG0000 for the glow. Start flicking around the edge of your image. I find that it works easiest with a very pale colour - you can always go around again to darken it up, which is what I've done here! 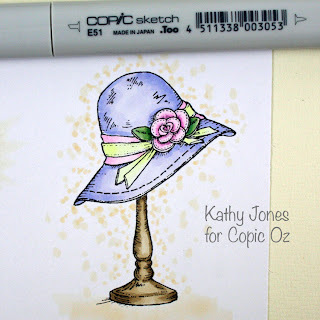 If you want to make your 'glow' a little darker, use the next Copic maker in the range, in this case I've flicked a little BG000 (but don't flick as far out as the BG0000) and then flicked out again with lighter colour. I really like using BG0000 or B0000 for glows around my images because it's like a sky colour, however, sometimes blues are not ideal for your image. This time I've coloured the outfit blue and added a yellow glow with YR30. 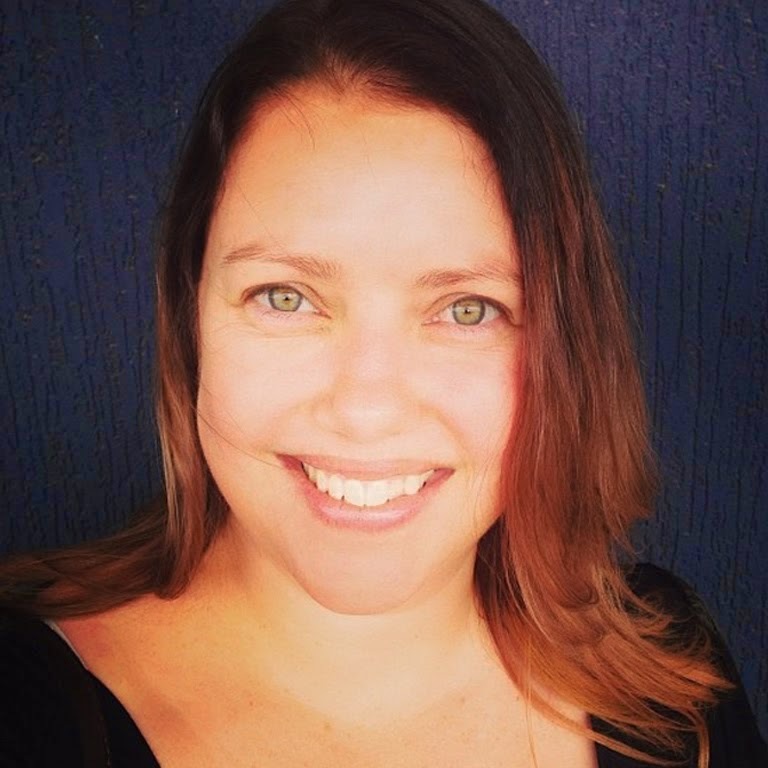 You can darken the glow with a little touch of YR31! 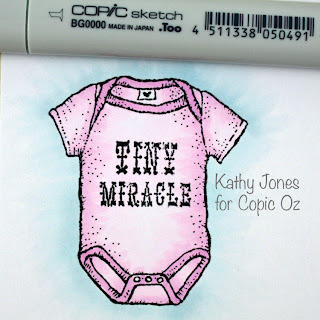 If you want to add a little texture, try dotting on colour instead of flicking! This is a fun and totally random effect! 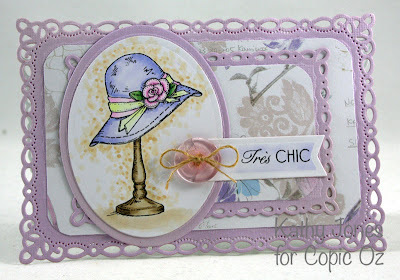 This time I've used this fabulous hat image from Flourishes' Feminine Charm stamp set. I've started by dotting on a light colour, in this case I've used E50, in larger dots using the tip of the Super Brush Nib. Next I've dotted on some E51, still using the tip of the brush nib, but made the dots smaller and not as far out from the image. 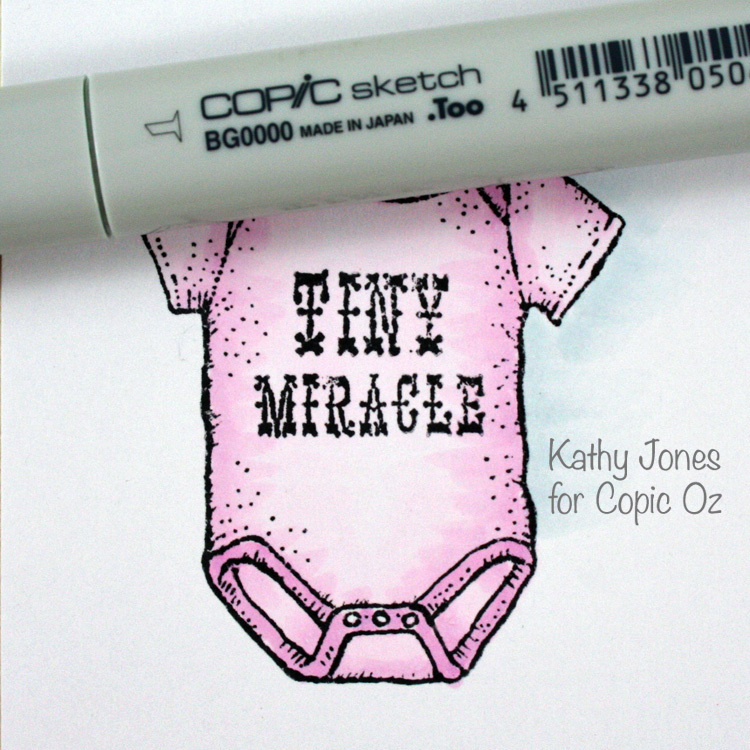 Next I've dotted on some E53, still using the brush nib and also made the dots smaller and closer to the image. 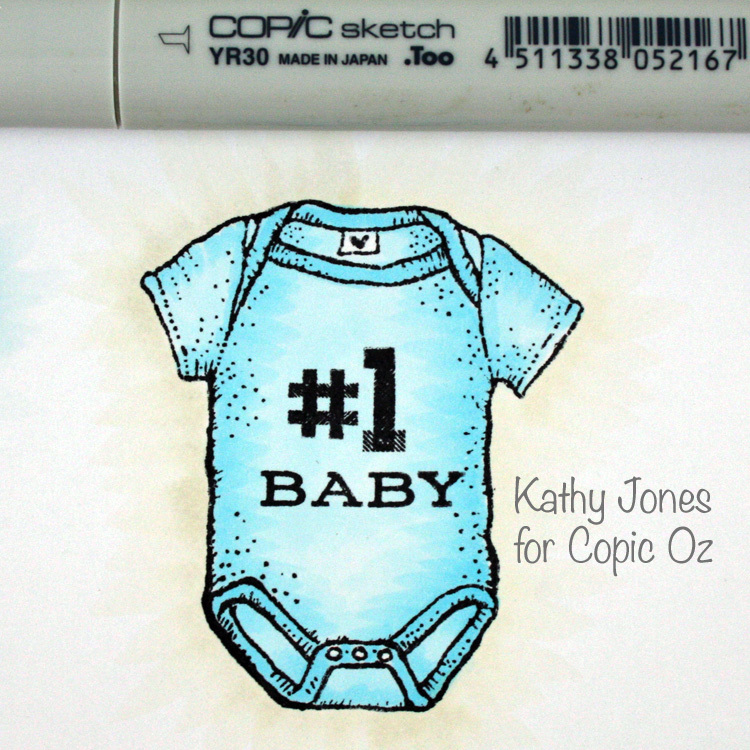 To soften the dots, I've added more E50 in the gaps until I'm happy with the finished effect! Obviously you don't have to use these colours, it depends on your image and what will work best!